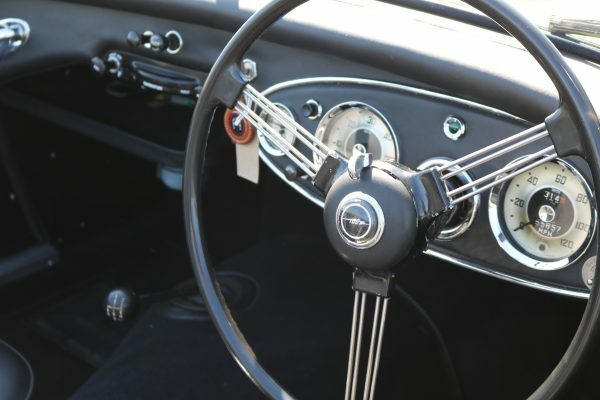 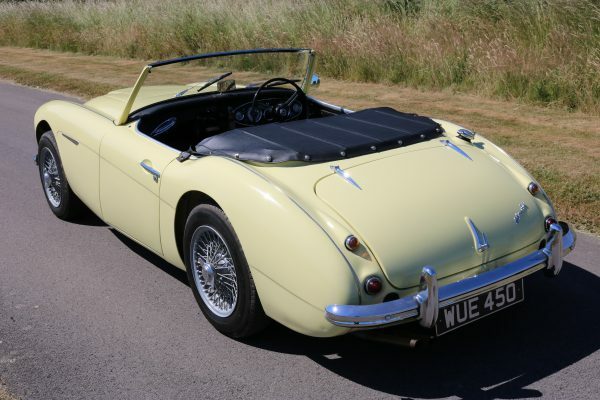 Built on 3rd July 1957 this Healey 100/6 was dispatched from the factory to a Healey dealer and has stayed in the UK ever since. 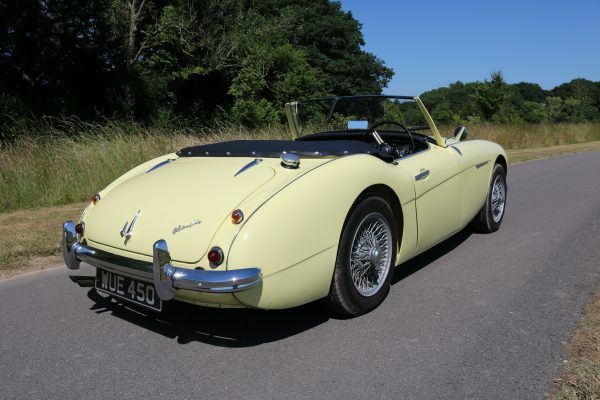 This Healey has been enjoyed by just 4 former keepers and has been well used over the years but looked after in equal measure. 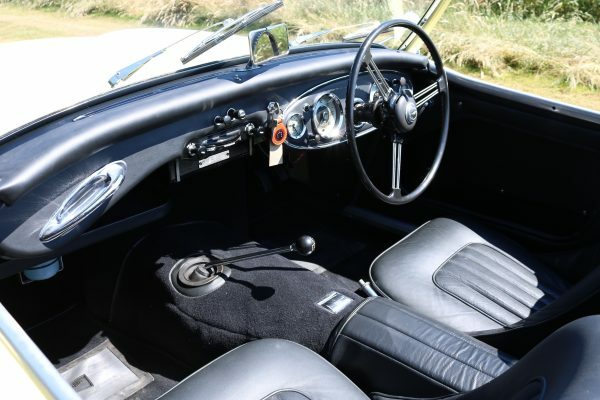 The maintenance history can be tracked in the car’s large history file. 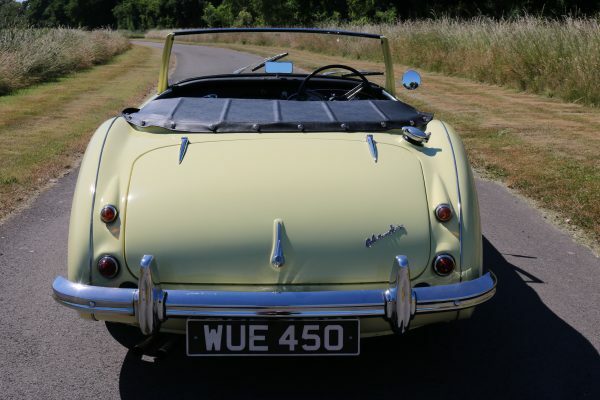 Originally finished in black, a restoration and full colour change to primrose yellow was carried out in 2012/2013 and has been completed to a high standard. 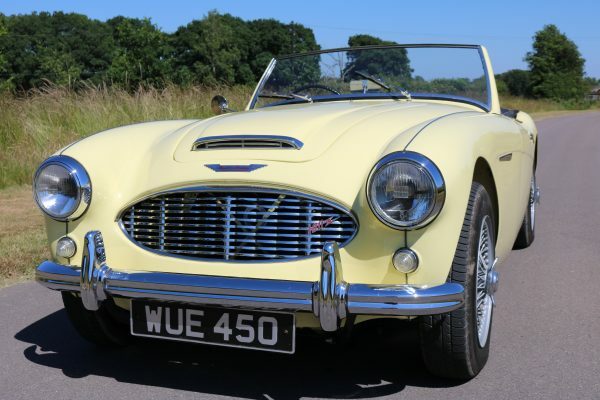 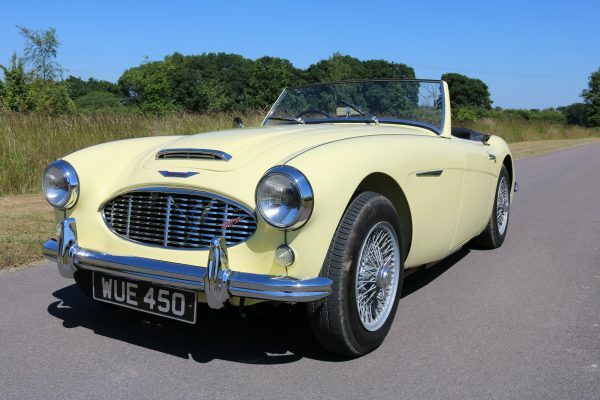 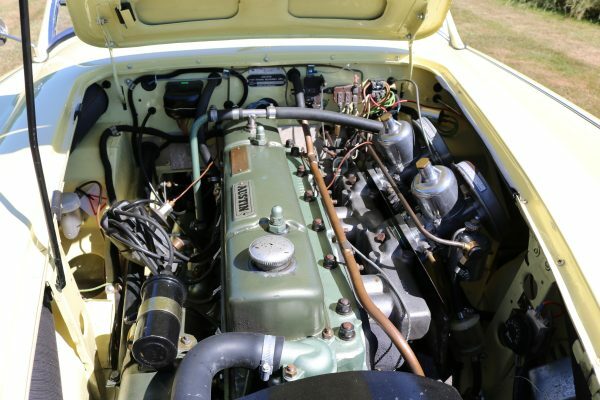 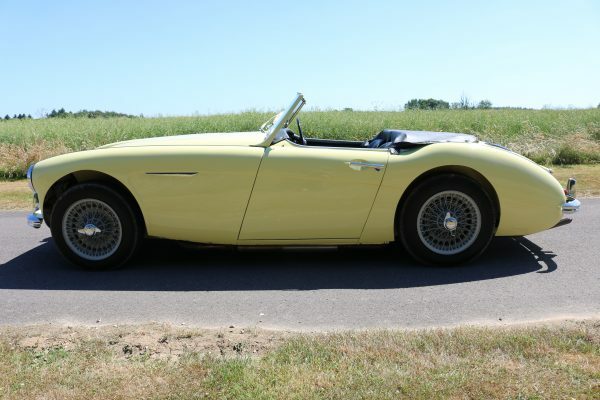 This Healey is very presentable and priced very reasonably. 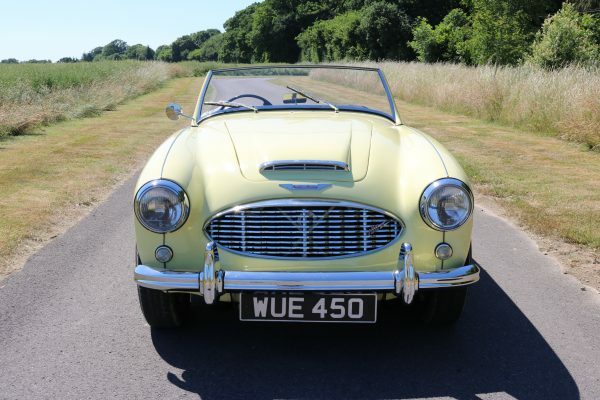 Overall, a fantastic car for just over forty thousand pounds, finished in a lesser spotted primrose yellow.